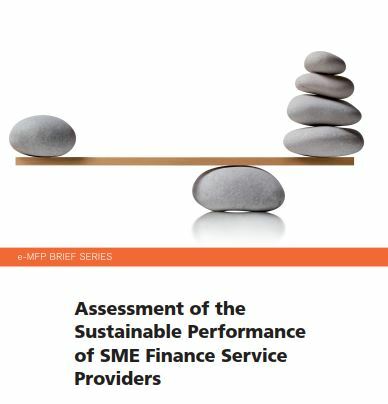 The European Microfinance Platform (e-MFP) and the Social Performance Task Force (SPTF) have published a study on the Assessment of the Sustainable performance of SME finance institutions. The study was drafted by Lucia Spaggiari, MFR, in collaboration with the e-MFP Investor Action Group and the Social Performance Task Force (SPTF) Social Investors Working Group. The proposed approach offers modular options to investors willing to assess the sustainable performance of SME finance institutions. The suggested metrics adapt the SPTF Universal Standards of Social Performance Management to the different goals, language and needs of SME banks and other SME finance institutions. 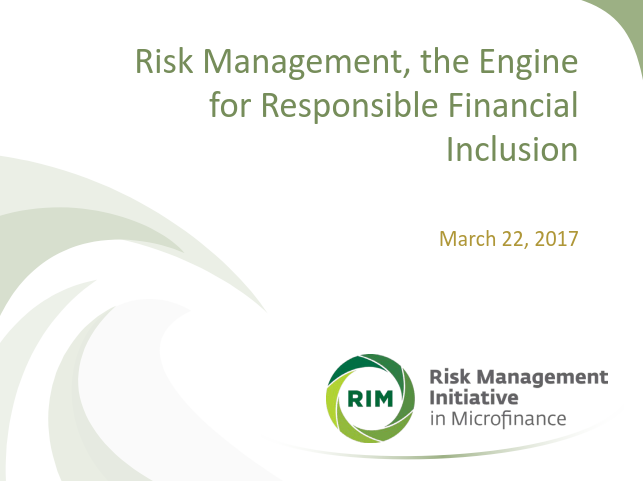 MicroFinanza Rating would like to share its experience in assessing responsible pricing and to provide some operational guidance to financial service providers (FSPs) to promote best practices. The recommendations presented here largely draw upon the research and guidance provided by responsible inclusive industry stakeholders, namely MFTransparency, Smart Campaign, and the Social Performance Task Force. The paper aims at designing the architecture to manage outcome, proposing a set of indicators and two alternative approches, tailored to the Palestinian context (but customizable for other countries). This paper is strongly positioned as a pioneer in the growing literature of measuring the changes at client level thanks to the innovative perspective of involving the whole industry in a systematic way, with a shared and agreed methodology. 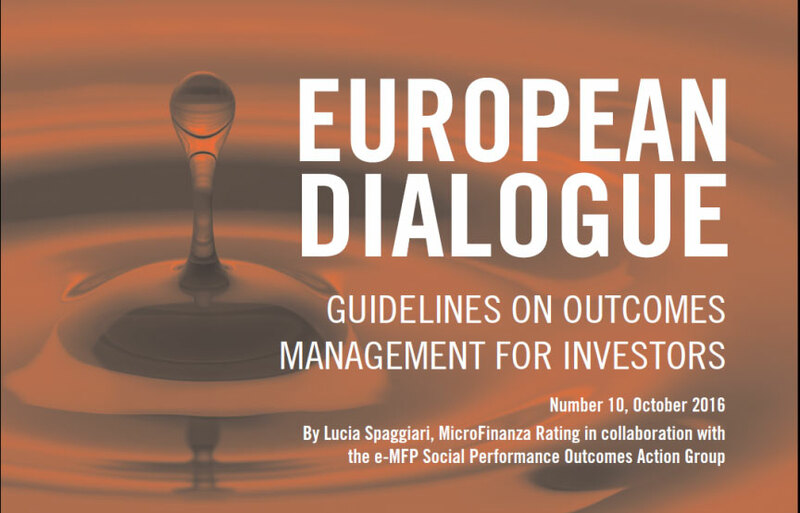 « Guidelines for integrating outcomes measurement, analysis, and reporting into the operations of inclusive finance investors, asset managers, and other funders », developed in partnership with the European Microfinance Platform (e-mfp) and the Social Performance Task Force (SPTF), Nov 2016. Client financial literacy is generally low. It is not automatically achieved with financial access and it needs deliberate financial education measures to improve. Henley Business School and MicroFinanza Rating would like to contribute with a client level research to the analysis of financial literacy and its implications. Change measurement and housing microfinance: a good match. MicroFinanza Rating would like to share the experience of developing a system to measure the outcome of a program to finance affordable housing. Bolivia es reconocida internacionalmente como el país donde empezó, a inicios de los años noventa, la “comercialización” de las microfinanzas, con la constitución del primer banco especializado en microfinanzas (Banco Solidario S.A.) y con la creación de los Fondos Financieros Privados1 como un medio de transformación de las ONG´s de microcrédito en entidades reguladas (FFP´s). El sector de las microfinanzas creció rápidamente, logró superar exitosamente una fuerte crisis de sobreendeudamiento en el 2000, y se consolidó gradualmente a través de los años, consiguiendo amplio alcance, buena cobertura geográfica y resultados económicos positivos. MicroFinanza Rating desea compartir los cambios observados en el nuevo marco regulatorio para las microfinanzas en Bolivia, sus beneficios e implicaciones con el objetivo de identificar las consecuencias y posibles resultados para el sector en el corto y mediano plazo. MicroFinanza Rating would like to share the main features of the Nigerian microfinance sector, highlighting the major challenges the industry is still facing. Morocco microfinance sector is among the most developed in the MENA Region, accounting for about 64% of the total outstanding portfolio in the Region. MicroFinanza Rating would like to share some of the results arising from the Country Study recently carried out in Morocco, with a particular focus on the repayment crisis that affected the Country and highlighting the main opportunities and threats for investments in the microfinance sector after the crisis. 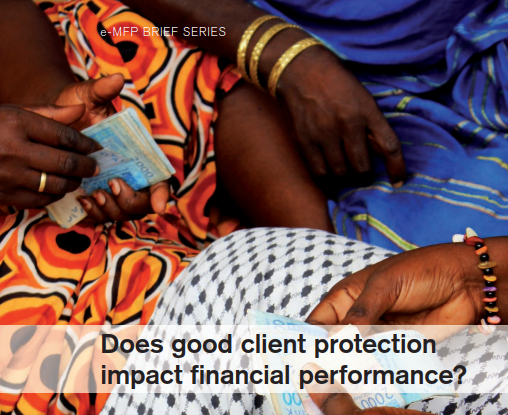 MicroFinanza Rating would like to share some experience in client protection, inspired by good practices observed un the field while conducting social ratings and client protection certifications of MFIs, aiming at promoting best practices. This insight aims at contributing to the market transparency by providing an independent analysis of the implementation of USSPM #5 in the Philippines. MicroFinanza Rating’s Social Rating methodology is fully aligned with the Universal Standards for Social Performance (USSPM) and includes a dedicated annex where the implementation of each standard can be demonstrated (USSPM external validation). Following its mission, MicroFinanza Rating provides microfinance institutions and investors with independent information to foster the microfinance sector transparency. This insight presents the rating results of Asia in particular. Microfinance promises to reach the poor and the excluded. Yet, very little is known about the profile of the clients reached. MicroFinanza Rating presents the actual poverty outreach observed in the industry over the past 7 years of social ratings.